Although I’ve helped InvestorPlace readers successfully navigate Roku (NASDAQ:ROKU), I still find shares difficult to decipher. 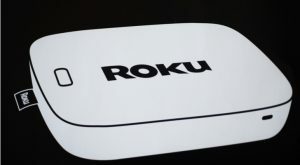 Less than a year-and-a-half has passed since the company’s initial public offering, yet the ROKU stock price traveled all over the map. The trailing six months provide a telling example of the volatility you can expect with the streaming-TV equipment provider. From an all-time record high in October last year to a devastating multi-year low less than 90 days later, ROKU stock at least keeps traders busy, and employed. However, some analysts believe that the choppiness may soon fade. With Apple (NASDAQ:AAPL) probably on the verge of announcing its video-streaming service, it has added incentive to market Airplay 2. A proprietary system, Airplay facilitates audio or video streaming from an Apple product to a different device. The second iteration of this technology expands this capacity to include several non-Apple brands, such as Samsung and Sony (NYSE:SNE). But Roku was left out in the cold. Of course, as a comparative minnow, losing such a high-profile partnership levered an exponential impact. Unsurprisingly, the ROKU stock price took it on the chin. But with Apple needing to establish credibility in the content space, a partnership with ROKU makes sense. Recent rumors indicate that the two companies are on the verge of inking a deal. If so, Roku-armed T.V.’s can stream content via an iPhone, iPad or Mac computer, generating an instant value-add. On the surface level, this is the type of fundamental driver that should sustainably and consistently drive the ROKU stock price. But after gaining 4% on the news, shares have more than given up that burst of profitability. How then should investors proceed? In my last write-up about Roku, I had confidence that a strong showing for its fourth-quarter fiscal 2018 earnings report could spike shares. We got exactly that, and like clockwork, the streaming-equipment provider launched into low-earth orbit. At the same time, I urged readers not to chase the ROKU stock price. Shares had already gone berserk prior to the Q4 report. After management disclosed their earnings beat, the company became even more of a unicorn. Year-to-date, the upstart streamer has skyrocketed over 137%. Unfortunately, unicorns aren’t real. While the fundamentals support ROKU stock — the company’s user base has increased dramatically and productively — we’ve seen this before. I worry that the good news has been priced in. That means shares are rising based largely on emotion, such as the “fear of missing out,” or FOMO. I’m going to stick with my last assessment: I encourage you to miss out, at least at this price point. Primarily, I don’t see Apple’s streaming overtures as a panacea for Roku. For one thing, Android operating systems dominate mobile market share. Therefore, you’re talking about a necessarily limited market for Apple. From Roku’s perspective, they need to expand in total numbers, and not just with revenue-per-user. Plus, Apple doesn’t really offer anything compelling or groundbreaking with its newfound original-content venture. Although it has aggressively courted executive, acting and directing talent to kickstart their entertainment enterprise, they’re way behind the curve. Of course, Apple being Apple, they’re likely to throw their vast riches into the content and streaming space. But even then, I go back to my original concern about Roku: nothing new or exciting exists to justify the excess in the ROKU stock price. As a result, I’d rather stay on the sidelines until a better opportunity arises. If you take a look at Roku’s long-term chart, you’ll unmistakably recognize a pattern of sharp peaks and valleys. You don’t have to be a technical analyst — or even believe in the technical approach — to recognize that this is an emotional stock. Specifically regarding Apple and the Airplay deal, Roku dropped nearly double digits on a single day when Apple apparently snubbed the streaming company. Later, it jumped significantly when AAPL relented, only to give up those gains 24 hours later. Clearly, this isn’t about Airplay. Instead, most of the markets are reacting emotionally to any noteworthy news or even rumors. Don’t get me wrong: I think ROKU has serious upside potential. It just needs a reality check before it gets there. Article printed from InvestorPlace Media, https://investorplace.com/2019/03/apple-distraction-roku-stock/.